the life of a wife: It's finally spring! I am so happy that spring is finally here! The winter is my least favorite season, so I always long for spring from about January 5 until it finally gets here. The beginning of spring couldn't have given us a better start: Saturday was a gorgeous day, so Caleb and I took advantage of the weather and did a lot of yard work. I got a pretty good sunburn, and we finished off the day by grilling out with some friends. Today the high is 73 degrees and I am LOVING it. 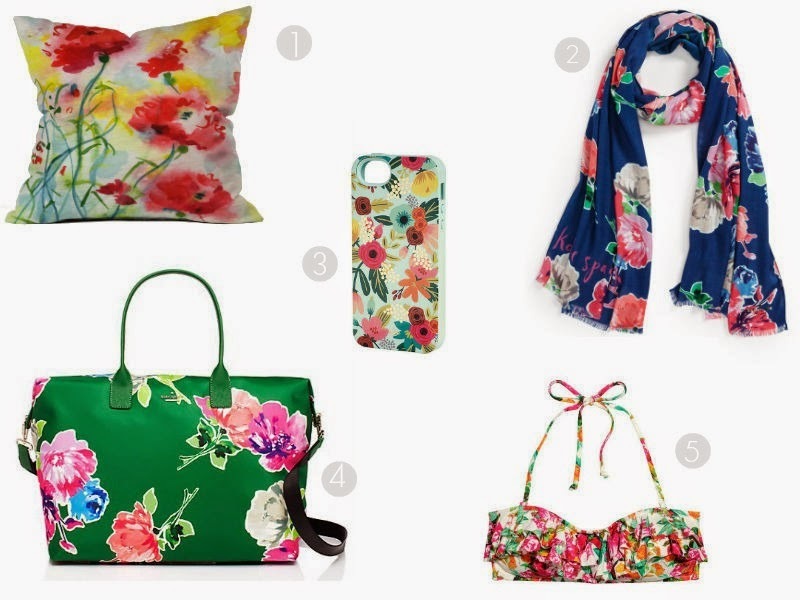 Nothing says spring like a good floral pattern, so I've rounded up a couple of my current favorites to celebrate the start of this beautiful season. LONGING for those warmer temps. We miss Georgia living!